Plus the people are kind of kooky, a definite plus. 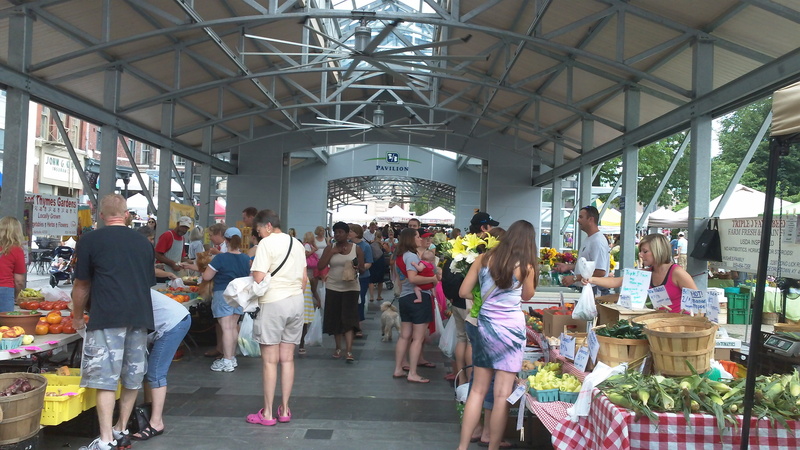 I met my friend Elizabeth at the market, who also came away with some bags of produce. 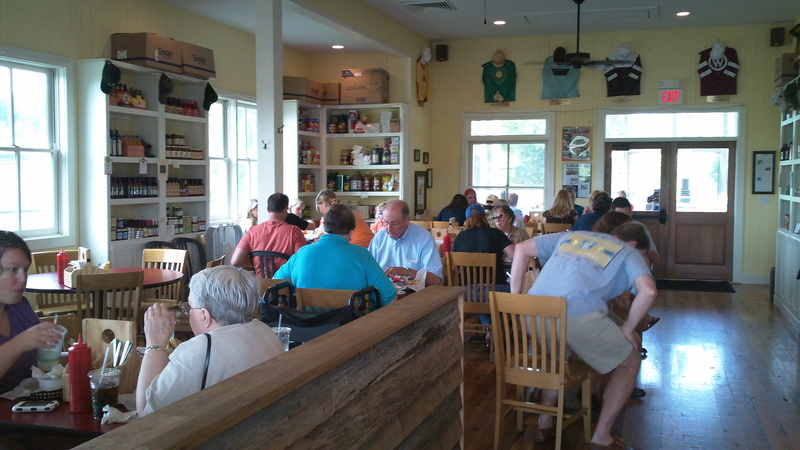 And then onto the Windy Corner Market, a country store/restaurant that’s roughly 15 minutes outside downtown Lexington in the middle of horse country. I literally saw people riding horses up the road while I was eating. Idyllic is not word. 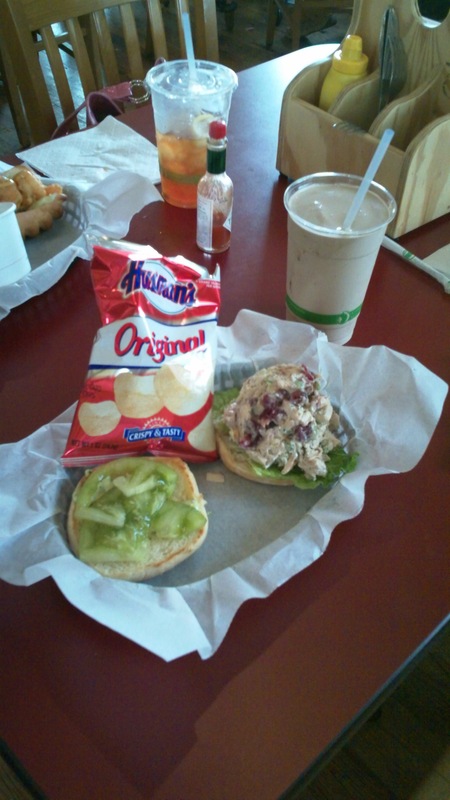 And the food was well worth the drive. The rich bourbon chocolate milkshake would have been enough. And on Sunday, my travels took me northward to Cincinnati. 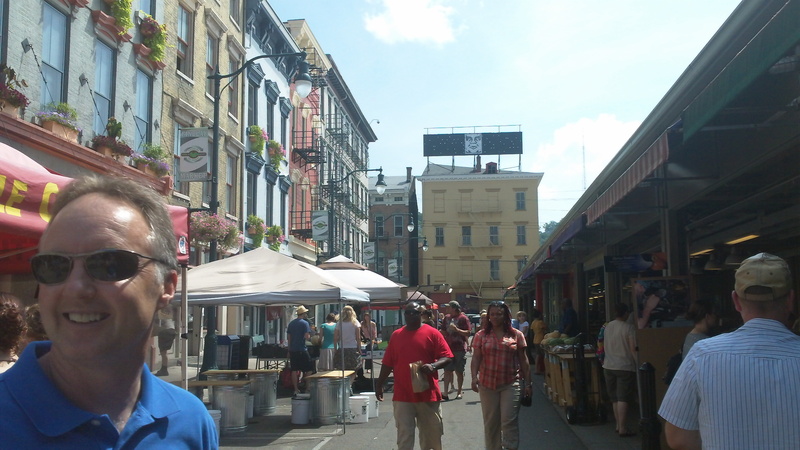 Along with my sister, Jessi, I visited Findlay Market, Ohio’s oldest continuously operated public market. Despite growing up 10 minutes across the Ohio River in Florence, Ky., I had never been to Findlay — the infamous Over the Rhine neighborhood and all. 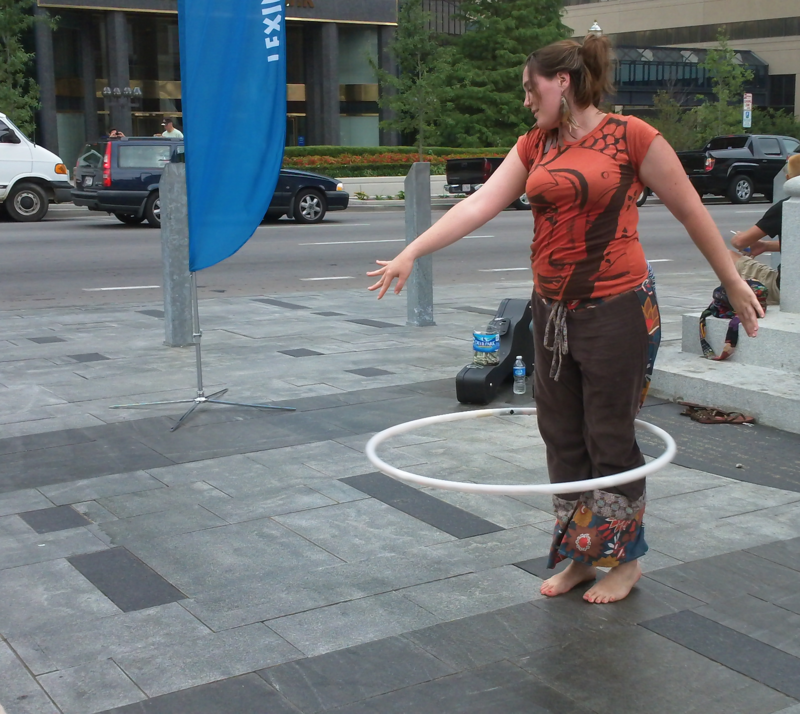 But my white suburban fright aside, the area and market were excellent. 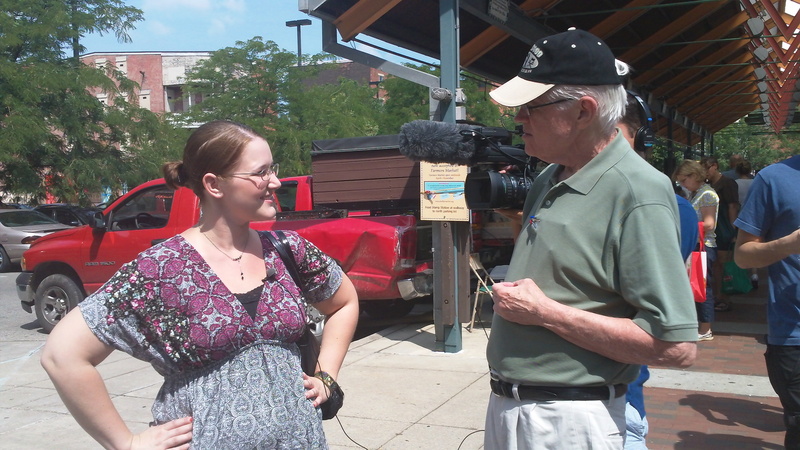 The only accosting came from a video crew from some web site — I think, I could be wrong about that — who interviewed Jessi about the debt ceiling debate. Findlay is like a mix between farmers and flea markets with some permanent shops sprinkled in. Plus the prices are excellent. I came away with half of a pound of prosciutto for about $5. Unheard of. I’ll have to go back the next time I’m up north. P.S. 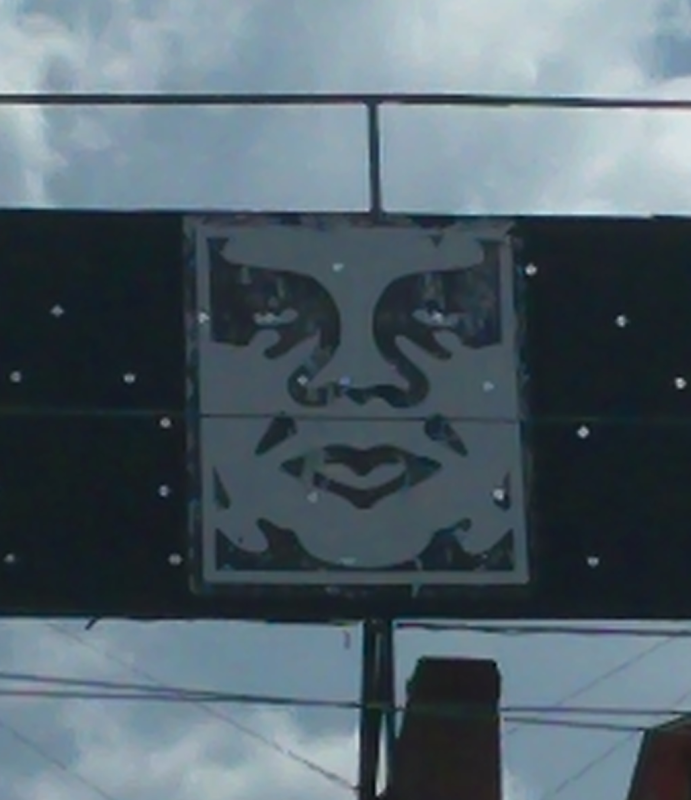 Did you catch the Andre the Giant street art on the billboard at the end of the street?